The current economic situation has affected individuals, companies and industries alike. One industry hit especially hard was the RV industry. During a recession one of the first things to go among consumers is discretionary spending on big ticket items like RVs. This decrease in spending results in RV dealerships and RV manufacturers scaling back operations to keep the doors open until the economy rebounds. The same holds true for many consumers who already own RV’s. They need to scale back and tighten their budget until the economy rebounds. In many cases consumers directly affected by the economic downturn are forced to sell their RV, to lower sthe amount of money going out of the household budget. 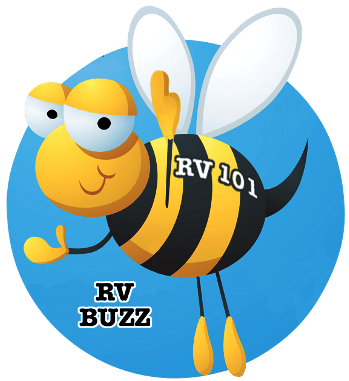 Selling a big ticket item like an RV can be a challenge in itself, especially when the seller doesn’t have a thorough understanding of how the entire selling process works. If you still owe money on the RV there is a lien holder, there are numerous Department of Motor Vehicle (DMV) rules and regulations to follow and chances are financing will need to be arranged. Other considerations include how to market and advertise the RV and how much is the RV is actually worth? Sometimes things are best left to the pros, and this is one of those times. A logical step to selling your RV is to discuss putting it on consignment at your local RV dealership. Selling an RV on consignment means the RV dealership will attempt to sell your RV the same as they would their own used RV inventory for an amount you both agree on. They advertise your unit, show it to potential customers, help arrange the financing and take care of all the required paperwork after the sale. So it only seems logical that the best way to sell your RV is where other people go to buy an RV. But as the old saying goes, if something sounds too good to be true it probably is. As good as it may sound when yo sell your RV on consignment there are many things you need to be aware of. When I was a sales manager for an RV dealership we sold lots of RVs on consignment. I witnessed just about every mistake owners could make, from leaving personal items in the RV unsecured to dropping their RV insurance in an attempt to save some money during the time it was being sold. I mentioned earlier that one of the reasons for selling the RV in the first place is to cut back on some of the money going out of the household budget. But, whether you try selling the RV on your own, or on a consignment lot, you are still responsible for the monthly RV payment and for keeping the RV insured until it sells. The RV dealer will specify in the consignment contract that they are not liable for any damage to the RV while it is in their possession, and that you are required to keep the unit insured. This not only protects you while the RV is sitting on the dealer’s lot, but you are required by law to have insurance on the RV if it is financed. It is important that you sit down with the dealership and go over the entire consignment agreement before you sign any paperwork. You need to understand how much the dealership will get paid, what selling price you agree on, what the term of the agreement is, what you are responsible for and what the dealership is responsible for. It may be that you owe more on the RV than it is actually worth. When you factor this in with the percentage the dealerhip gets paid the RV could potentially sit on the lot month after month and never sell. In a situation like this you will need to agree on a reasonable selling price and it may be necessary for you to pay the balance of the loan when the RV sells. Remember the goal is to sell the RV! You will be responsible for preparing the RV for sale. This includes things like cleaning the RV, draining the water system, emptying and flushing the holding tanks, having the unit winterized if necessary. If you want the dealership to do these things for you make sure you agree on a price up front. You need to discuss any obvious repairs that may be required to get the unit ready to be sold. How much will the repairs cost and are the repairs paid up front or after the sale? You should take everything out of the RV before taking it to the dealership to be sold. If you have extra items that go with the RV, like an RV cover or other accessories ask the dealer to list the items and leave the information in the RV for potential buyers to see, but don’t physically leave these items in the RV while it’s sitting on the lot. Ask the dealer if they take precautions like putting a protective covering on the carpet to prevent dirt and stains from foot traffic. Is the RV going to be locked and secured when the dealership is closed? Will they keep the interior and exterior clean while it is on the lot, and if so are there additional charges for this? Ask them to explain any additional fees or monthly charges that may apply like cleaning, advertising and a pre-delivery inspection (PDI) fee after the sale. Any reputable RV dealership is going to do a PDI when the unit sells, and there will other charges like filling the propane cylinders and fuel tank. Do they start and run the RV on a regular basis? 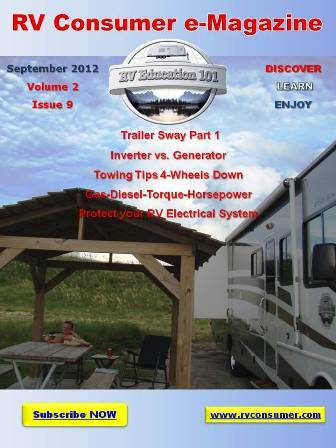 If the RV has a generator will they start and exercise it or is that something you will need to do? Can potential buyers test drive the unit if is a motorized RV, again you will need to keep insurance coverage on the unit. If they get an offer on the RV that is below the agreed upon price will they notify you with the offer for you to consider? These are just a few things to consider and review before putting the RV on consignment. Remember the overall goal is to sell the RV in a timely manner. Things that help sell an RV, besides the type of RV it is and the floor plan are cleanliness, everything operating properly, no obvious damage, motivated sales people and of course the selling price. One way to motivate sales people is to offer them a sales spiff/incentive above and beyond their regular commission. Talk to the sales manager and see if this is something that can be arranged. Do what you are responsible for and let the dealership do what they are responsible for and the RV should sell in a reasonable time frame.